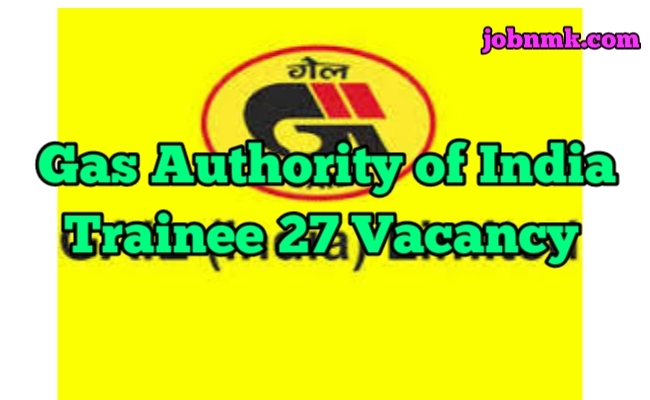 Gas Authority of India Executive Trainee 27 job apply. 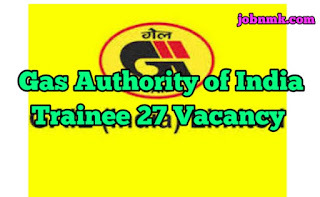 Gas Authority of India job vacancy. Gas Authority of India ( GAIL ) Has Invited Online Application Form for the post of Executive Trainee in GAIL from Across India. The Interested Candidates Can now Read the Full Notification Before they Apply Online form. For Executive Trainee (Chemical): Bachelor Degree in Engineering in Chemical or Petrochemical or Chemical Technology or Petrochemical Technology with minimum 65% Marks required. For Executive Trainee (Instrumentation): Bachelor Degree in Engineering in Instrumentation or Instrumentation and Control/ Electronics and Instrumentation or Electrical & Instrumentation or Electronics or Electrical and Electronics with minimum 65% Marks required. Please Go through the notification for detailed eligibility criteria as given link below. ₹60,000 – ₹1,80,000 Per month. The Selection will be depend on the basis of Interview. Relaxation ( in Upper age limit ) 05 years for SC and ST candidates 03 years for OBC candidates 10 years for PWD candidates. Candidates should log on to the https://gailebank.gail.co.in/Online_Recruit/career.asp. Now, Read the information carefully and Select the desired post and Click on “Click here”. First, Complete the Registration and Click on “Submit”. After candidates Registration, Log in with Registered Number and Password. Fill all the details in the application and upload Photo, Signature which mentioned. Take a print out of Online application for the candidates future use. We hope now you are aware about Gas Authority of India Vacancy very well.